Financial services companies have been leery to embrace the enterprise mobility wave. Rightly so, regulations from Sarbanes-Oxley (SOX) to the Financial Industry Regulatory Authority (FINRA) and the Payment Card Industry Data Security Standard (PCI DSS) have given financial IT professionals extra concern for caution. The good news is that with Mobile Device Management (MDM) iPhones, iPads and the slew of Androids on the market, you can meet the balance of open access for employees while ensuring adherence to the financial industry’s stringent requirements for compliance with regulations. 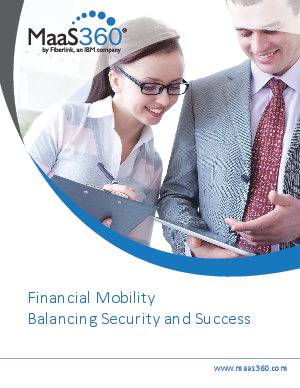 Download today to learn how to support, secure and manage mobility in financial services.